Best suited for group sharing and also ideal for newly independent readers who delight in nonfiction. A great selection for nonfiction animal collections. A tender and heartwarming account that's certain to delight children, especially animal lovers. This is an excellent choice to inspire elementary students' interest in conservation, ocean life, and animal behavior. 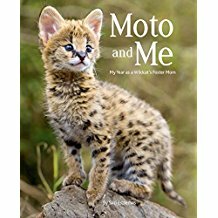 This selection offers a fine and valuable look at how humans can preserve and protect wildlife and will do well elementary school libraries.